Chicken Omlette is a type of Omlette prepared by using minced boneless chicken(we can use leftover chicken curry) with Egg and Onion. Add chopped Pearl Onion, Curry leaves, minced Chicken and Salt into eggs and beat well. Pour some Oil in a frying Pan with little Oil. 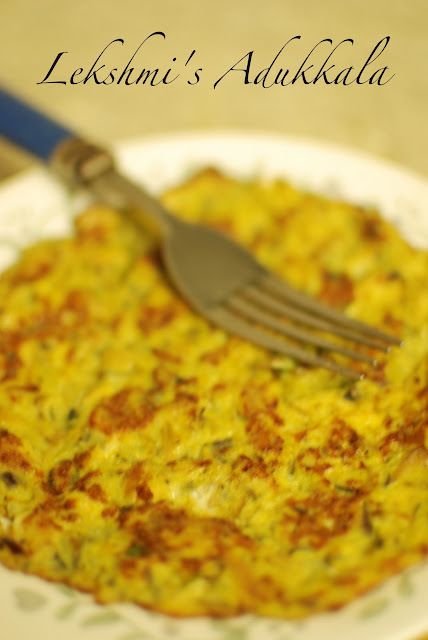 Pour one spoon full of egg mix in the pan and spread it like a dosa. When one side is cooked and turn the other side and cook it. Recommended Combination:Serve hot with Rice.